If the Rams win it all, it will be a tainted championship at best. A Patriots win wouldn't be any better. You know, when I started this thread, I said "no 'I'm boycotting' posts" but at this point, that's the only good result that can come of this game. I can live with the Rams, but I'm just plain tired and bored of seeing the Patriots in the Super Bowl year, after year, after year. So, I won't watch. 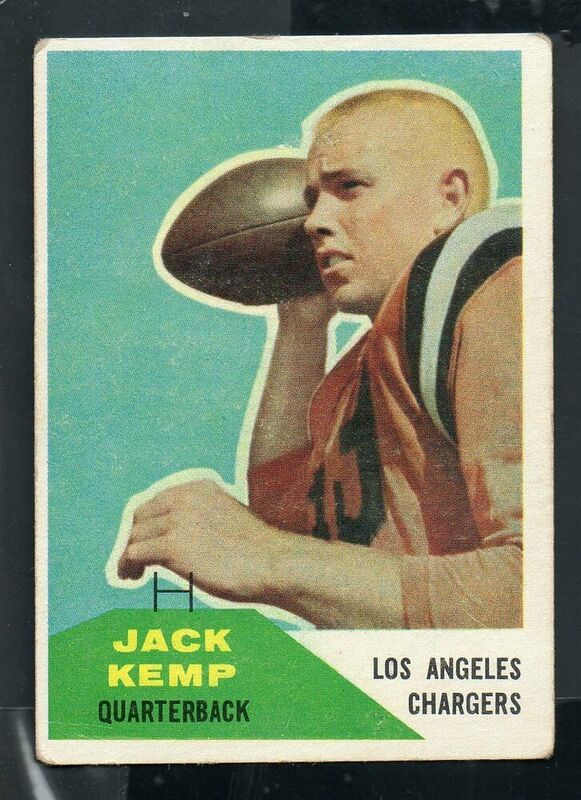 For the record, the Chargers started in Los Angeles but that is ancient history, they had a quarterback named Jack Kemp. Chargers were in LA their first year at least. Anyway, I hardly watched a full-NFL game this year, maybe none fully. I'm not too absorbed with who won or lost. The league is hyped up and we see how they stabbed many of their fans in the back, let alone, getting taxpayers to subsidize stadiums and so on. The Rams were making noise all year. I watched most of that Kansas City-Ram game. The Rams don't have 3 or 4 losses for no reason at all. They have been a good team. If one says the refs favored them or something, I'm not arguing that. Maybe so. There also was that bogus "roughing the passer" call on 3rd down, in the 4th quarter, that helped them out. I saw the offsides. It was legit. The defender was practically in the offensive backfield. The roughing the passer penalty was arguable, to say the least. NFL Chief Financial Officer Joseph Siclare said in a sworn affidavit that replaying the final minutes of last Sunday’s game between the Los Angeles Rams and the New Orleans Saints because of a bad call could cost the NFL “more than $100 million” because it could mean delaying Super Bowl LIII. Once I totally reviewed all the info on this "non-call", I've lost total interest. Calls go both ways, I should not have disgust for the Rams and then, in turn cheer the Patriots....but I don't blame people for however they feel. All they can do is patch up the rule now, which they will in the off season. Jerry Jones said over the past week, that call that benefited the Patriots per the punt or kickoff (whichever), that evidence to me and apparently to him, does not seem overwhelming enough to reverse that call on whether the receiver touched it or not. I think in all likelihood, it didn't touch him but it still is so close, almost too close to call. I'm still not watching much of this game. Too disappointed from the past really. They could make all that money up and more just by selling the TV rights. Come on. That said, though... Season ticket holders have no financial standing to sue. As a fan, they gain nothing and are not harmed in the legal sense, regardless of whether the Saints win or lose. The Saints players and coaches, on the other hand, since they lost money in it (the winner's share of the championship game, plus whatever they'll make for Super Bowl LIII), could possibly sue. This could be the lowest-rated Super Bowl. I have watched every Super Bowl since the first one. This will be the first one I miss. Because of the boycotters in the New Orleans region? They think too much of themselves, IMO. This Super Bowl offers much history. Does the Grasshopper grab the pebble from Tom Brady's opened palm? Does a rookie coach win it all? From that region yes, but I there is very very low enthusiamsim for this game mainly cause again the Patriots are in the Super Bowl. Where did anyone say or infer that? I can't speak for other Saint fans, but I simply choose not to reward the NFL, and their sponsors for extreme sub-par officiating. Pretty damn presumptious on your part if you ask me. I read in on an ESPN site...that the theory was that television ratings would be down due to the manner in which the Saints were robbed. Even bars in the French Quarter vowed not to televise the Game. To that, I figured there were a lot more Patriot-haters across the country that were going to check in to see this new style of high-scoring offenses the RAMS and CHIEFS showed all year. Cheers, and here's to 2 months till baseball season. Yes, the Saints were victimized by a bad call. But if the outcome of a game and the team's entire season hinges on one pass play, you probably didn't deserve to win that game. My Stillers got bad calls all season long - but they also didn't play very well, thus, no playoffs. Normally I’d agree with that but the timing of that bad call is what made it so catastrophic. Because of that bad call it forced a fourth down with a little time on the clock. Which means the rams had more time and only had to drive a short field to kick a tying FG. Had the call been made it would have been 1st down. if the rams had even gotten the ball back they would have had almost no time to do anything even if the Aints had still only managed a FG. I have argued that point ad nauseam. Add the point that the culprit ref was looking right at the play a few feet away, and then..... waved another official away who was likely going to discuss an overcall...... Considering the stakes, you really gotta wonder what was going on in the head of that SOB. I'm not particularly impressed as a football fan with the kind of players they were able to get. They seem to have surprisingly robust funding and their coaches are fairly good... but when your marquee names are people like Zach Mettenberger and Trent Richardson, it's hard to get all that enthused. Will I watch? Sure, but I don't anticipate being impressed. I liked the UFL of what's now a decade ago (despite Pelosi's involvement). They had great coaches, good players who had success at the NFL level (Jeff Garcia, Ahman Green, Daunte Culpepper), and paid about the same amount of money. The AAF seems to have dug into the dredges of minor league football. I'm interested to see what the new XFL has to offer next year. The tweaks I've read about look to make the game pretty interesting, and it certainly doesn't look like Vince McMahon is going to make the same tacky mistakes he made in 2001. Alas, there's always arena football. I do have low standards for this league, but I think this going to the NFL Farm system. I did watch the UFL and it had potential, but they should have never gone against the NFL. Same here, I'm more excited about the new XFL. Page created in 1.656 seconds with 21 queries.